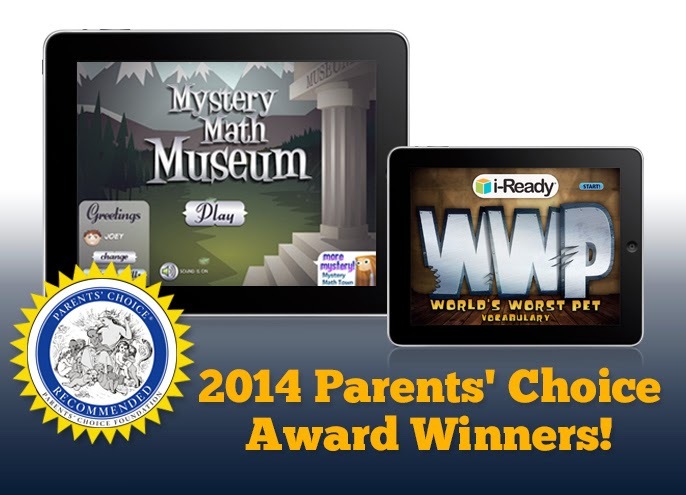 We're really pleased to announce that our Mystery Math Museum app won a Parents' Choice Award. While perusing the list of 2014 winners, we were also pleasantly surprised to see that World's Worst Pet, the app we developed for Curriculum Associates, also won. As a Parents’ Choice Award® winner, you’re a member of a very select group. Fewer than 20% of the products submitted to the Parents’ Choice Awards program receive any level of commendation. It’s an honor that doesn’t come easily; you should be very proud of your achievement.